Having grown a coveted client list and a reputation for top-class service, Windle & Moodie pride themselves on discreet, attentive care and creative thinking, brought to you by one of the most directional team of hair stylists in the industry. 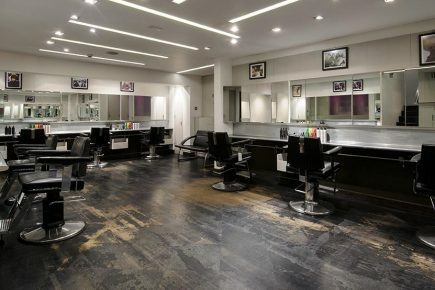 The Covent Garden based stylists have been voted ‘best London hairdressers’ and the stylish and contemporary salon has been regarded as the ‘best London hair Salon’, and is at the forefront of trends in fashion and beauty. From celebrity clients to long-standing regulars and passers-by, everyone receives the same designer service at the Windle & Moodie salon and their editorial and catwalk stylists specialise in translating current trends into everyday, wearable styles. Original founder Paul Windle still mans the scissors and heads up a large team of excellent stylists, whilst partner Neil Moodie is involved with the editorial work, styling some of the most well-known manes in the fashion industry for Vogue.